The countless festivals all over the world embody our religious beliefs and preserve our remarkable history. Many of these festivals can be traced back to the ancient times and are also associated with seasonal changes and with different cultural implications. While most festivals are celebrated annually, each celebration has meaning and importance which may vary from one community to another. During the observance of these festivals, everyone joins in the vibrant celebrations where they could partake in the merriment, lavish foods, colorful ambience, jovial atmosphere, and meaningful ceremonies. Although, there are some festivals observed through solemn celebrations. The most festive, fun and entertaining festival for me, the Rio Carnival in Brazil showcases what the true definition of celebration is. Celebrated 46 days prior to Easter, this vibrant and colorful festival invites people, including tourists from all over the globe, to dance in the streets while the music plays and the floats and parades emblazon the fabulous costumes and top performances of talented artists and performers. This is an annual celebration that occurs every late February or March. 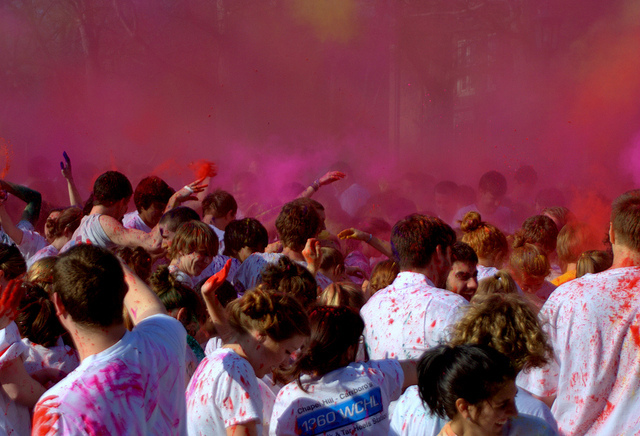 The Holi or Color Throwing is a spring festival observed by the Hindus and the Sikhs to honor the god Vishnu. It is a two-day event where people enjoy the bonfire and allow themselves to get dirty by throwing colored powder and water at each other. Tourists from all over the world are enchanted spectators of this multi-colored festivity. The darling of the crowd when it comes to festivals, and one of my favorites, the La Tomatina of Bunol in Valencia, Spain is a fantastic and fun-filled celebration where thousands of people converge in a massive throwing of tomatoes. Both locals and tourists gear themselves up with goggles and swimming shorts before they splatter ripe tomatoes. If you read and watched the news, you know how intense is the excitement of being part of the celebration. Who doesn’t love beer? Well, in this celebration drinking beer is an art. In September every year, an extensive area populated with beer tents will be filled with cheerful people who will join in the beer festival that could last for three weeks. Premium beer and a wide variety of sausages and other different German treats await everyone who would like to partake in the lavish festivity that could accommodate millions of people from everywhere. I love music and I love Bob Marley, meaning I love reggae. Well, a lively music and terrific treats will surely entice you to join in the celebration. Reggae Sumfest, which is commemorated every year in the month of July, is a wonderful escape from the stressful world and just enjoy the sweetness of the music and the delightful sight of people dancing and enjoying the party. Well, the festival is truly a wonderful sight to see! Traveling around the world for these festivals can be a great fulfillment. If you have your own private plane or executive jet, the trip will become easier. But whichever way you choose to be there, it’s the experience and memories you make that matter most.